We have just had World Zoonosis Day (July 6th 2018) to create awareness about infectious diseases that can transfer from animals to people (or people to animals). Some of the diseases seen in NZ include tuberculosis, toxoplasmosis, cat scratch fever, ringworm, salmonellosis, leptospirosis, campylobacter infection, giardia infection, cryptosporidium infection and parasites like scabies, roundworms and hookworms. Fortunately there are some diseases that we no longer see, like hydatids. Many others have never been seen in NZ (unless people pick them up overseas) like rabies, Lyme disease, and plague. One of the ones I get regular enquiries about is toxoplasmosis, normally because people are starting a family and are concerned about the risk to their unborn child. Toxoplasmosis is the disease caused by a protozoan organism called Toxoplasma gondii. It affects most animals - notably sheep, cats, and humans. 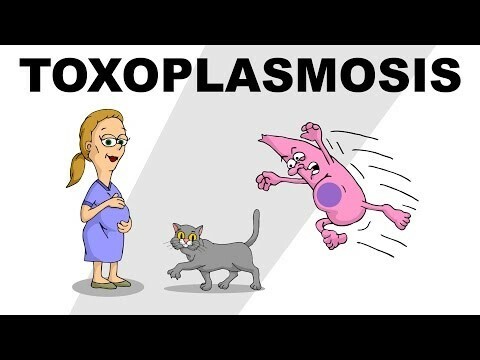 Toxoplasmosis only occurs when infected for the first time (or immune suppressed), and the amount of damage done to the unborn child depends on the stage of pregnancy at the time of infection. Infection in mid-pregnancy may result in a child with varying degrees of blindness and/or various severe neurological conditions. A human with an acute Toxoplasma infection can have varying degrees of illness, some with flu like symptoms, or for most the symptoms may be so mild as to go unnoticed. Cats, also called the definitive host, get infected with Toxoplasma gondii by hunting and eating prey, eating raw food diets, or by inadvertently licking eggs (oocysts) during grooming. When the cat gets infected, the early stages involve an intestinal form where the contagious eggs (oocysts) are shed in faeces but the cat may or may not have any diarrhoea. Usually a cat will only shed oocysts after the first infection of Toxoplasma; a cat that has already had a Toxoplasma infection usually will not re-shed the oocysts unless its immune system has been compromised. Cats shedding oocysts generally do so for 5 to 14 days. Additionally some of the parasites will move from intestine to other parts of the cat. Eventually, the cat’s immune system forces the parasite into a dormant or “resting” stage where it forms cysts in muscles and the brain. Oocysts, passed in faeces of cats, require 1-4 days to sporulate - that is, grow into a form that is dangerous to people (and other animals). For this reason, the cat's litter box should be changed daily or twice daily so the cysts will be thrown out before they reach an infectious stage. Other mammals, including humans, are called intermediate hosts. Once they ingest sporulated oocysts, the infection results in the formation of tissue cysts in various tissues of the body. Tissue cysts remain in the intermediate host for life and are infectious to cats, humans, and other intermediate hosts that eat the cyst-containing tissue. Note that freezing weather will not reliably kill dangerous oocysts in soil nor will freezing meat kill the dangerous tissue forms. I think it is worth repeating for emphasis, most cats are only infectious for 2 weeks of their entire life. Toxoplasmosis in humans is spread through handling anything contaminated with infected cat faeces such as the cat litter box, gardening, unwashed vegetables, or from eating raw or undercooked meat. Cats have probably been over-emphasized as a carrier of Toxoplasma; most human infections result from eating undercooked meat (containing tissue cysts of Toxoplasma). Dogs that eat cat faeces can also shed oocysts for 2 days afterwards. 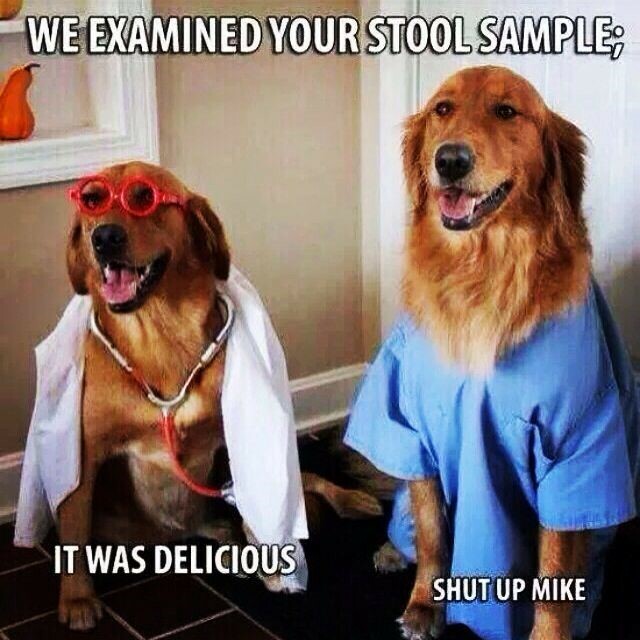 Please contact your veterinarian for more information. · Probably the most important thing is to be careful when cooking raw meat, especially lamb and pork. Wash your hands after handling meat. Remember that microwaving does not heat evenly enough to reliably kill the organism. DO NOT EAT MEAT OR TASTE MEAT BEFORE IT IS FINISHED COOKING. · Wash your hands after handling your cat and the litter box. · Do not allow your cat to eat raw meat. Feed only commercial cat food and do not allow your cat outside to hunt. · Change the litter box daily or twice daily. It is best if someone else changes the box while you are pregnant. Do not dump the litter box into the backyard. · Always wear rubber gloves when gardening. · Do not drink raw milk, especially goat's milk.